Dr. Klaper resolutely believes that proper nutrition — through a whole food, plant-based diet — and a balanced lifestyle are essential for health and, in many cases, can make the difference between healing an illness or merely treating its symptoms. He is a gifted clinician, internationally-recognized teacher, and sought-after speaker on diet and health. In addition to his clinical practice and private consultations with patients, he is a passionate and devoted educator of physicians and other healthcare professionals about the importance of nutrition in clinical practice and integrative medicine. Dr. Klaper is the author of Vegan Nutrition; Pure & Simple and has produced numerous health videos, webinars and dozens of articles for both scientific journals and the popular press. As a source of inspiration advocating plant-based diets and the end of animal cruelty worldwide, Dr. Klaper contributed to the making of two PBS television programs, Food for Thought and the award-winning movie, Diet for a New America (based on the book of the same name). Dr. Klaper teaches that “Health Comes From Healthy Living” and he is dedicated to the healing and flourishing of all living beings and our planet. Dr. Michael Klaper graduated from the University of Illinois College of Medicine in 1972. He served a medical internship at Vancouver General Hospital in British Columbia, Canada and received training in surgery, anesthesiology and orthopedics at the University of British Columbia Hospital in Vancouver. Additionally, he was trained in obstetrics at the University of California Hospital, San Francisco. As his medical career progressed, Dr. Klaper began to realize (true to what science is bearing out today) that many of the diseases his patients presented – clogged arteries (atherosclerosis), high blood pressure (hypertension), obesity, adult-onset diabetes and even some forms of arthritis, asthma, and other significant illnesses – were made worse or actually caused by the high sugar, high fat, high salt, overly processed, animal product-based, Standard American Diet (S.A.D.). 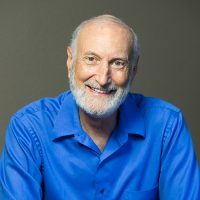 Dr. Klaper served as Director of the Institute of Nutrition Education and Research from 1992 through 2015, where he conducted a study that focused on people who ate a completely plant-based or vegan diet. Dr. Klaper practiced acute care medicine in New Zealand for three years and from 2009 through 2018, served on staff at the TrueNorth Health Center, North America’s premier nutritionally-based medical clinic that specializes in therapeutic fasting and health improvement through a whole food, plant-based diet. A member of the American College of Lifestyle Medicine, Dr. Klaper was a member of the American Medical Student Association’s Nutrition Task Force and currently serves on the Advisory Board for the Plantrician Project and the “International Journal of Disease Reversal and Prevention.” For over 10 years, Dr. Klaper hosted a popular medical information radio program “Sounds of Healing” on WPFW in Washington, DC and KAOI on Maui, Hawaii. Dr. Michael Klaper is licensed to practice medicine in California and Hawaii.